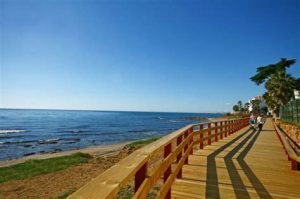 Malaga Airport Transfers reviews completed by Neil Henderson staying in a rented private villa in Riveria del sol Elviria. Also Helen Ridley staying at the Sol House Hotel Torremolinos. 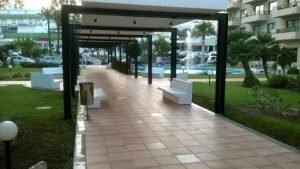 Helen Ridley stayed at the Sol House Hotel Torremolinos on the 15-10-18. She answered top marks giving all answers a 5, which ranged from accommodation , nightlife, beach location. Helen stated there is plenty to do for children, especially the pool area at the Sol House Hotel. She tra velled with 12 in her party and arrived into Malaga Airport by EasyJet. Helen said there was no need to rent a car as everything was easily accessible and the Hotel is suitable for disabled. Helens favourite bar was Mombasa which is situated in the Puerto Marina area just a short walk from the Sol House. Mombasa is a fantastic bar to relax in day or night and serves all types of drinks and cocktails. Mombasa also has a sunny terrace overlooking the marina. Helens journey from Malaga Airport with Malaga Airport Transfers driver Simon took 20 mins and cost 118€ for a return transfer. You can pay for your transfer on arrival and also free child seats are available. Neil stayed in a rented villa in Rivera Del Sol. He rated six questions a four and two questions a three , Neil arrived into Malaga Airport from Glasgow on the 27-10-18. The transfer to Riviera Del Sol with Malaga Airport Transfers driver Nigel took just 40 mins and cost 96 €. You can pay for your transfer on arrival and also free child seats are available. The Accommodation was just five minute walk to the beach but was not suitable for the disabled. Neil also added there was no need to hire a car. Neil stated that his favourite restaurant was Da Vinci which is a relaxed Italian eatery located in Calahonda. Da Vinci is perfect location for dinner with friends and family. Neil’s favourite bar was Georges Bar which is a lounge and chill restaurant with sunny terraces overlooking the med showing all major sports. They serve lunch and dinner and a wide range of drinks , when asked Neil said he would book and visit again. John and Michael would like to thank Helen and Neil for their reviews and look forward to seeing them soon.